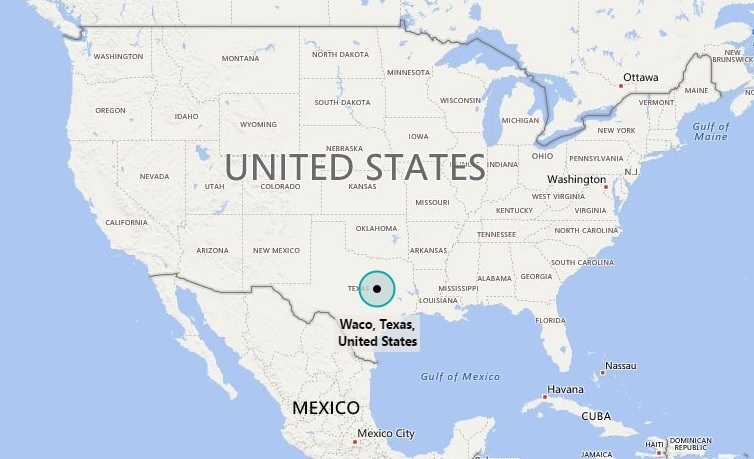 Map showing location of Waco in the Texas, USA. Waco is a city in Texas, which is also county seat of McLennan County in Texas, United States. It is situated along the Brazos River and I-35, halfway between Dallas and Austin. It is located 31.55 latitude and -97.15 longitude and it is situated, Waco has a population of 130,194 (2014) making it the 22nd-most populous city in the state.